Traditionally, in a Westminster parliamentary system, government can sit a maximum of 5 years, unless it loses a confidence vote before then. But the Premier or Prime Minister also has the power to call an early election, a power often used to take advantage of favourable timing for re-election, or avoid potential pending embarrassment. This gives an unfair advantage over opposition parties, so many governments in Canada, starting with BC and now including Ontario and most other provinces or territories, have established fixed election dates and hold most elections every four years like clockwork. But at the federal level, it’s a different story. Despite not losing a vote of confidence, Harper called an election in the fall of 2008, over a year before the date fixed in his law, basically because he felt the timing was good to gain a majority in Parliament. But that didn’t work; instead, he faced a united opposition only a few months later, who publicly declared in writing their intent to move non-confidence in his new government, the proper way to trigger an election before the end of a fixed term. However, that timing wasn’t so auspicious for Harper, so he suspended Parliament in order to avoid the non-confidence vote, the first time this had every been done anywhere in the world under Westminster governance. Through these two actions, he showed that despite his own introduction of fixed election dates with the stated intent to “prevent governments from calling snap elections for short-term political advantage” and “level the playing field for all parties,” he has no interest in a level playing field or giving up short-term political advantage. Now that he has his majority government, though, Prime Minister Harper has insisted he will not call the next election early, instead waiting until the legislated October 19 date. And I’ve been told the same by one of his Members of Parliament, and one of his nominated candidates. Should we believe them, over Harper’s own demonstrated habits? Many speculated Harper would again break his own law and send us to the polls this coming spring, following a “good news” budget with a surplus to fund more tax cuts or new spending. But that already happened this fall; now predictions circulate of a writ drop as early as February, to wrap the election before the guaranteed-to-be-embarrassing Mike Duffy trial begins in April. I guess the only recourse is to look at the indicators. Of all the federal parties, the Conservatives have the most candidates nominated, even though the election is supposedly almost a year away. More telling, to me, is what I got in my mailbox this week: a full-size full-colour election flyer from the Conservative nominee in my riding. Sure, it’s good to start campaigning early, but I’ve never before seen such an expensive mailer 11 months before an anticipated election! Could this signal an election call in the coming months? I guess we’ll find out together. Published as my Root Issues column in the Barrie Examiner as "Signs of an impending election are popping up". Countless accomplished Canadians, including three Prime Ministers, many scientific pioneers, artists, writers, and performers, were born abroad, chose to live here, and in doing so made Canada better. Luckily, French studies in elementary school put her in good stead upon arriving in Canada, inhabiting a one-room log cabin with gaps the snow blew in and a TV that only got CBC and its sister French station, Radio-Canada. While friends went off to university, she spent her twenties waitressing and cooking for tourists in the family restaurant, campaigning to protect Cape Breton’s forests from toxic spraying in the off season. 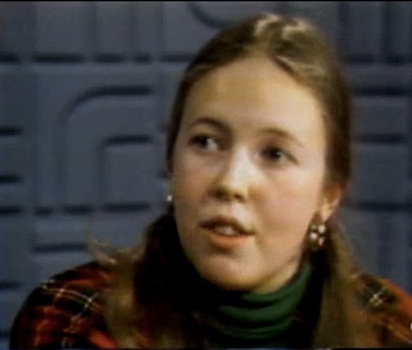 Under a special admissions program and armed with a recommendation from the governor of Arkansas (an old activist friend destined to be United States president), this waitress/cook/activist from the Cape directly entered law school and went on to an environmental career so successful she was elevated to Officer of the Order of Canada with a teaching chair at Dalhousie University named after her. Between founding several major environmental organizations (Canadian Environmental Defense Fund, Canadian chapters of Cultural Survival and Sierra Club) she also spent two years as senior policy advisor to Tory Environment Minister Tom McMillan, an extremely productive and successful period that led to Brian Mulroney being honoured as Canada’s “greenest” prime minister. During this time she also learned how Canada’s parliament worked: MPs from all parties rolled up their sleeves in committee and made legislation better. The Prime Minister showed respect for opposition leaders, consulting with or notifying them of major policy initiatives; international delegations included members from both sides of the House. How much things change! Now an MP in her own right, she sits in a House more sharply divided and subject to more top-down control than ever before in our history. Much of her book deals with how unhealthy government is failing to serve the public interest, how we have strayed from the democratic ideals enshrined in our founding documents and instead fallen under the power of a dictatorial Prime Minister’s Office and party leaders, leading to policy failure on many key issues, particularly climate change. But this topic, which takes up most of her book (with some common-sense prescriptions for how to fix it), goes beyond the capacity of a short column. Luckily, we have a chance to hear Elizabeth speak directly about these topics when she visits Barrie next Saturday (November 22) on her book tour. At 7 pm at the Southshore Centre, May will read from her book and take questions from the audience – unique among elected party leaders, with no pre-screening of attendees or questions! This is your chance to hear from the amazing source in person. For information, to book a ticket or attend the VIP reception, please visit www.BarrieGreenParty.ca. Published as my Root Issues column in the Barrie Examiner as "Elizabeth May shares her insight in new book"